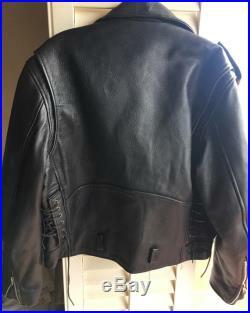 Vintage 80s/90s black leather jacket. 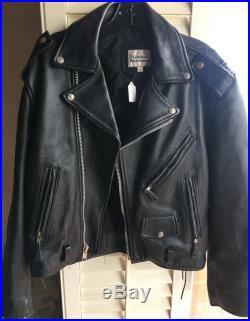 Biker style, long sleeves, front pockets, collar, zip front and zip sleeves. 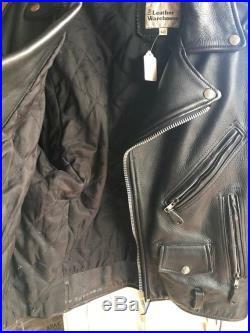 Heavy thick leather , quilted polyester lining. Marked size 40 fits like medium/large. Measures 25" sleeve length20.5" armpit to armpit 20" shoulder to shoulder 23" length measurements taken flat. Model is 5'6 size small. Item in photo is the exact item you will receive. All items are vintage and one of a kind. 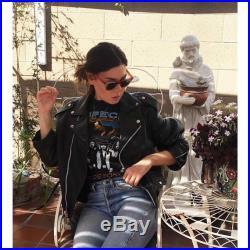 Please make sure to double check item description/measurements/photos before purchasing.